Average 1.67/5 out of 3 total votes. 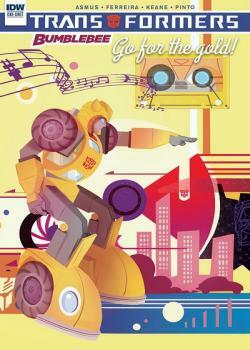 There are a lot of things other Autobots can do that Bumblebee cannot—they drive faster, hit harder, fly! But if there’s one thing Bee has over any of them, it’s a bigger heart! When his team’s in danger, Bumblebee comes to the rescue in this fun adventure that pits the Autobots against Starscream’s evil Decepticons!